A short clip featuring some dreamy Gopro action from a few zones on the East Coast with Alan Jackson. Some sick POV shots with Guzman Fernandez “Makako”, shot in the Canary islands, Spain, Portugal and the Azores over the last year. 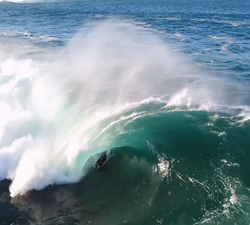 Some left over footage from Margaret River rider James Walsh, featuring action at The Box and some tasty POV angles. Some dreamy South Sumatran peaks with Harry Mee and friends. Music by Vallis Alps – East. Adam Read snagging some tasty views recently on the East Coast of Australia, all shot with his GoPro mouth mount. Western Australian rider Jordan Evans hooking into some shallow slabs at home. All shot via Go Pro. Ephrem “Ez” Laupie tearing up some dreamy set-ups in Indonesia. Brought to us by Curve Bodyboard shop. 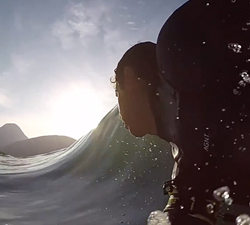 A few GoPro POV slabs with Itacoatiara legend Dudu Pedra. Music by Josh Garrels // Beyond the Blue.